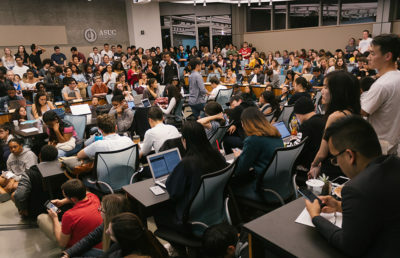 The University of California and a union representing nontenured lecturers and librarians across the UC system agreed last week on a short-term extension of the existing lecturers’ employment contract, which was set to expire Monday. 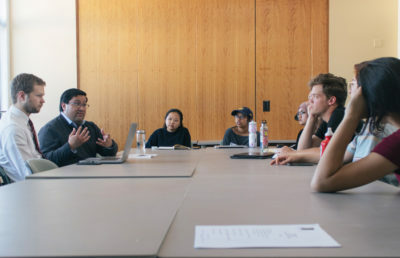 The University Council-AFT, a union representing more than 3,000 nontenured lecturers at UC campuses, will continue its ongoing negotiations with the university. The contract’s new expiration date is set for Oct. 31. 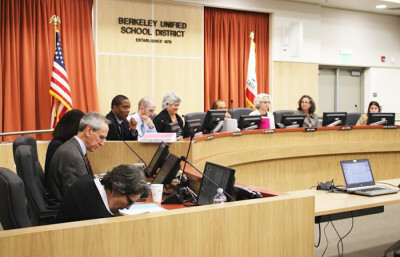 Among the union’s three main platforms — fair benefits, stable appointments and shared governance — fair benefits are the primary focus of the negotiations, according to Kurt Spreyer, the president of UC-AFT Local 1474 at UC Berkeley. Lecturers are ineligible for Social Security if they teach less than half the time required to be considered full-time employees, he said. Negotiations are just beginning, and issues related to benefits and working conditions will be discussed at the bargaining table, according to UC spokesperson Shelly Meron. Meron said the university employs about four times as many tenure-track faculty as it employs lecturers. 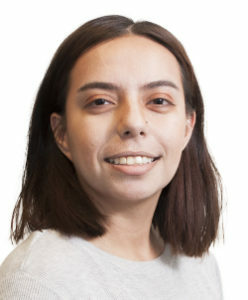 Kathryn Klar, a lecturer of Celtic studies at UC Berkeley, said many union members expressed desires for shared governance through representation within the university’s Academic Senate. 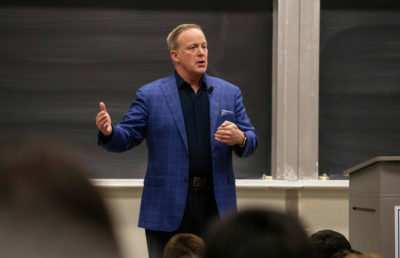 The university’s employment of more instructors on a contract basis comes at the expense of students, Spreyer said, because the lecturers cannot develop curriculum or link students to valuable networks and resources. Dion Farquhar, a lecturer at UC Santa Cruz, said there is a lack of job security for lecturers who have worked within a department for less than six years. 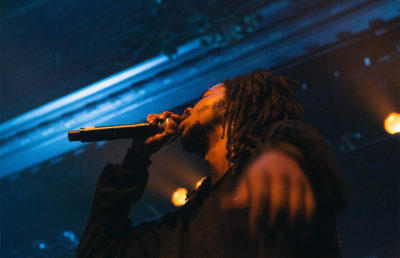 “You have to hustle, and we don’t want to have to do that,” Farquhar said. According to Meron, about 39 percent of lecturers have become continuing appointees. 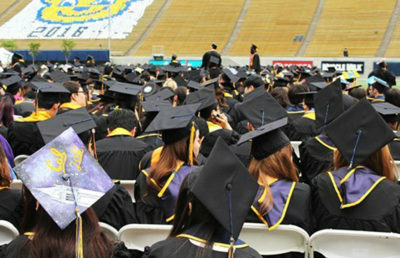 The union said in a press release that the number of lecturers with this type of job security is closer to 25 percent. 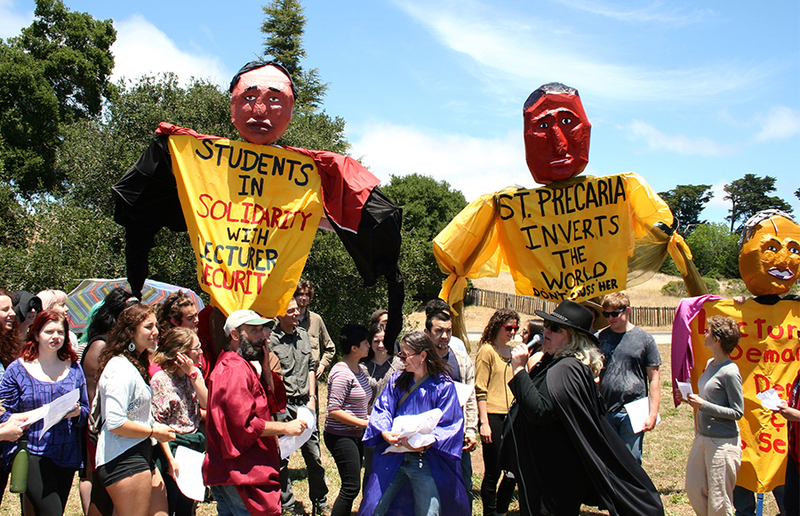 Lecturers and supporters hold a picnic at UC Santa Cruz with food and puppets, marking the beginning of union negotiations with the university. 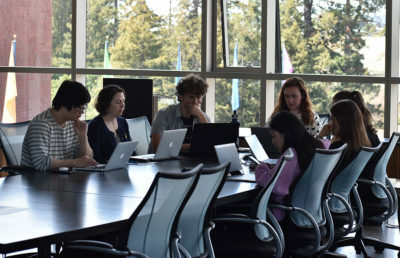 Lecturers, students and faculty members at UC Santa Cruz gathered Monday to raise awareness of the renegotiation of the contract. The union called the gathering a “picnic,” with supporters holding puppets and signs. Union meetings were also organized at UCLA and UC Riverside. 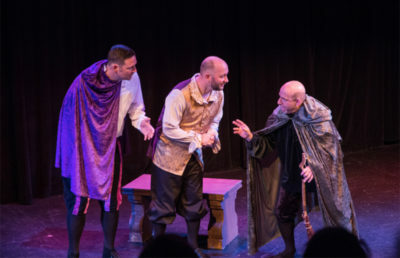 Senior staff writer Daniel Tutt contributed to this report. Contact Yuka Koshino at [email protected] and follow her on Twitter @xxchris78xx. A previous version of this article may have implied that Meron said continuing appointees have some job security. In fact, she did not speak on the topic of job security. A previous version of this article stated that the university had no comment on union negotiations. In fact, UC spokesperson Shelly Meron said they would discuss these issues at the bargaining table. 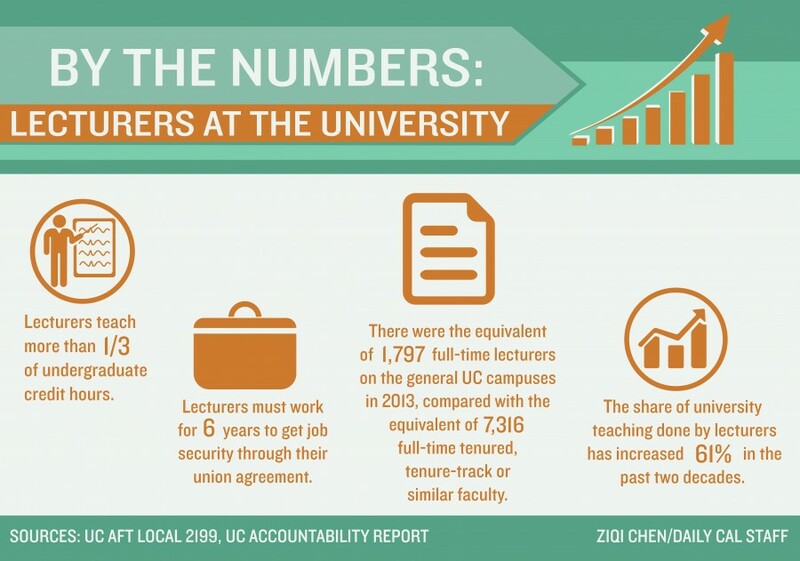 A previous version of the infographic attached to this article stated that there was the equivalent of 7,316 full time lecturers on the general UC campuses in 2013, compared to the equivalent of 1,797 full time tenured, tenure-track or similar faculty. In fact, there was the equivalent of 1,797 full time lecturers, compared to the equivalent of 7,316 full time tenured, tenure-track or similar faculty.